Top Gear, Jaguar Commercials, BMW Commercials – somewhere you’ve probably seen video footage of this American Car Nirvana. Picture smooth empty race track, rolling green hills, a kart track, an off road course, a car display showcase, a team of pro-level coaches and what is essentially the closest thing to your own private racetrack. This sums up the feeling I had when taking a day trip up to Monticello Motor Club. When you live in DC and have one day to tour a private racetrack in the Catskill Mountains, you need something faster than a car to get there. 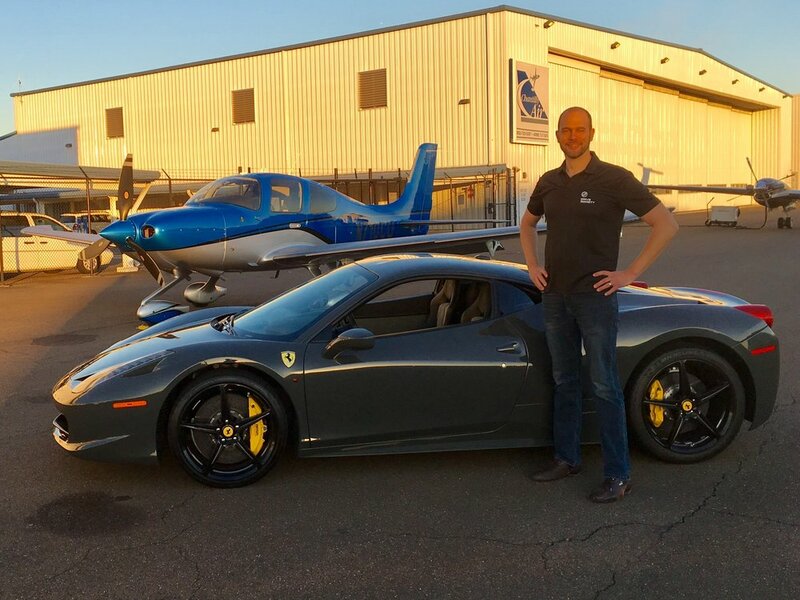 That’s where our partners at Skyway Air Taxi and their fleet of Cirrus aircraft came in. Their plane became ours for the day. We left DC at sunrise in our Ferrari 458 and motored west out of the city before traffic had time to set in. Minutes after arrival at Manassas airport we took off northbound for Monticello Motor Club. 90 minutes later and we were at the track. First, let’s get one thing out of the way: the price. Guess what? Building a very long, luxury racetrack facility 90 minutes from Manhattan is going to cost a lot. Certainly it took many millions to build. And in order to have an exclusive feel, memberships are limited to about 750 lucky people. So it’s not cheap to join, but how could it be? Get ready to write a check for at least $60,000 to be a part of this extra special track. So what can you do there if you’re not a member? Monticello Motor Club offers a few ways to experience the track that are open to non-members. Two events later this year are the Art of Motion and a Global MX-5 club race. 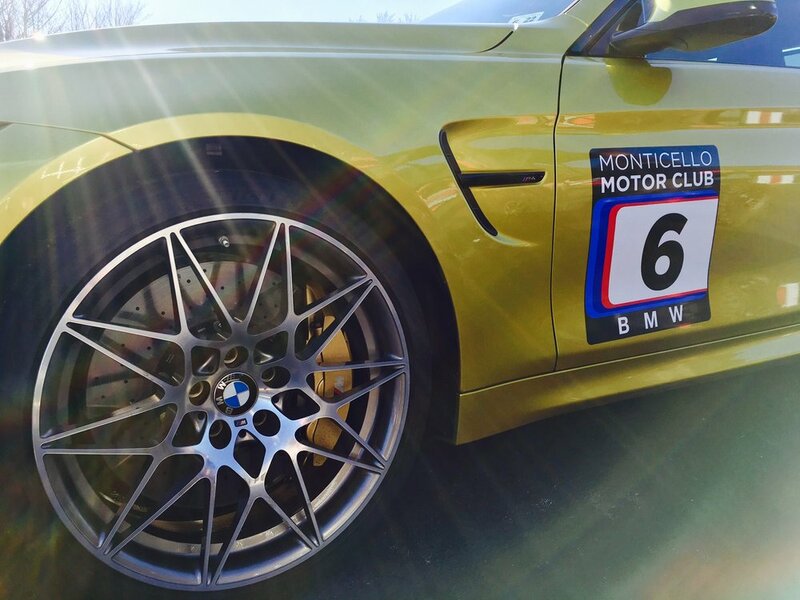 More interesting to those of us who want to get on track, is that they offer a “Taste of the Track” package to experience all aspects of Monticello in one day including sessions in BMW M4s with pro-level coaching, go karting, and off-roading. For our one day experience, we did a customized Taste of Track, taking into account the facility wasn’t fully open so we missed the Kart Track and some of the event spaces that were under construction. But we experienced what we really cared about: the Road Course and the Off-Road Course. At 4.1 miles, Monticello’s road course can be divided into about 4 different configurations. Paired up with Continental Sports Car Challenge Series driver and super nice guy, Jason Rabe, we learned the North and South courses individually before putting it all together on the full course. Jason wrapped it up with some demo laps so we could see what the M4 really had to offer, and threw in some fancy drifting and smoky burnouts. Fortunately, they needed some promotional footage in the M4 and had old tires to burn. Road course complete, it was time to get extremely muddy. We suited up in rain suits, boots, and goggles before jumping in Polaris RZR’s for our off-road experience. The off road “course” is essentially a huge area of woods with very rudimentary trails and river throughout. Weighing only about 1700lbs with 170 hp and massive suspension travel, the RZR’s are a blast to drive. Rock crawling is fun, but blazing along off road trails is way more my speed, and the RZR can do both. It’s hard to complain about a day that included our Ferrari 458, a private plane, a private race track, and some coaching from a pro driver. For the breadth of automotive experiences and private race track feel, experiencing Monticello Motor Club should be on your Automotive Bucket List. We can’t wait to go back. Contact us if you’re interested in joining our next trip! 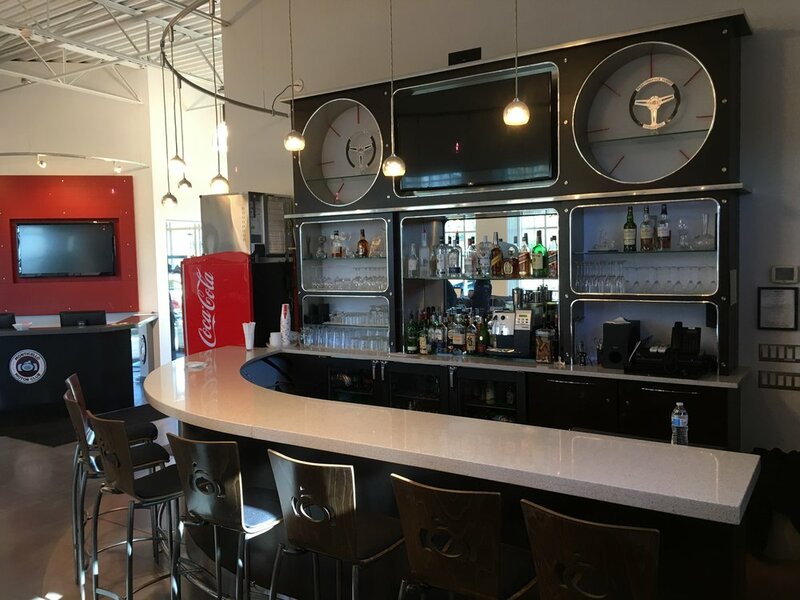 Read Marin’s take on experiencing Drive Society and Monticello Motor Club here.